How are iPhone Sales Doing? As an iPhone user it is a pretty to know if the one that you have chosen to purchase is a good unit or not. One of the ways that identifies this is the amount of sales that occur during a specific period. In this case, if you are an iPhone 4S user, then based on sales, you have made a good decision. With the biggest difference between the iPhone 4S and the iPhone 4 being the Siri, it’s obvious looking at sales figures that the “she” has become a success. As far as smartphones are concerned, the 4S is the best-selling model among Verizon Wireless, AT&T and Sprint, the 3 major carriers. Since T-Mobile does not sell this model, for them the Samsung Galaxy S II is the best-selling model for them. After these phones, it appears as if the Samsung Galaxy Nexus will become another top selling model. Based on December forecasts and sales, iPhone sales were expected to be around 12 million units for the last quarter in just the United States alone. 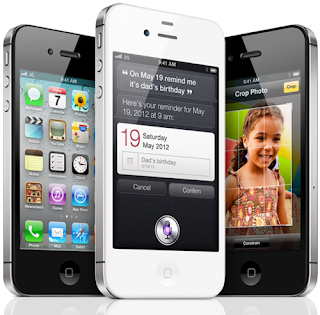 From a global view, the iPhone 4S launched in some new countries such as Brazil and Russia and will be launching in China in the month of January. If we take a look at some of the other smartphone models out there, we find that some of their sales have been dropping. For example, the BlackBerry sales have taken a hit in spite of the newer Bold 9900 model. The Android devices still seem to be doing well as they were up to 700,000 activations per day just before Christmas. For those that are interested in the tablet market, it appears that the iPad 2 sits on the top, though the Kindle Fire was giving the iPad 2 a stiff competition. So for those of you who have iPhone 4S, you can be assured that you have plenty of other people who have purchased this same phone. 0 Respones to "How are iPhone Sales Doing?"